I haven't died... I've been caught up in the pre-christmas rush of retail marketing! I had a chance to continue working on this site (my portfolio) b/c of the long weekend. Which I wanted to make note about...Branding on social media platforms...Fun AND easy. In most cases, it's as simple as setting a themed background and sticking to your website colour scheme. Branding a Facebook page is a little more complicated and involves having to know a little bit of programming and/or HTML. I'll get to that eventually...but for now, my priority is getting DustyMiller.ca to a point where it's not requiring so many updates/tweeks. This is blog style two. On the blog roll, this style will look like an inversion of the pre and post...posts. As you can see obviously, because it should be working by now. The intent is only to make it a little more visually appealing and to divide content. This may be revisited later (different looks for different content or date divisions), but we'll see. 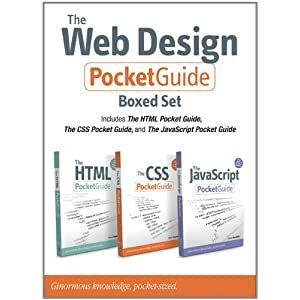 Time to get back to the CSS...with my trusty Web Design Pocket Guide . This is my first Dusty Miller blog post. I'm still coding the CSS...and oh boy--what a treat! I'd really prefer that this be done so that I could go grab my groceries...but I'm on a roll. Let's get back to it, eh? I went and got grocceries...and this cold that I have...that I was really hoping would get better before it got worse, has really grabbed on. *sniff sniff* I've loaded up on Strepsils and Ricola; the one upside to having a cold! Not quite done--gotta make sure there's enough content and that the expansion and blog content holder works. Next I'll be starting on the next post; hopefully about something fun. I'm not sure about you, but have you ever noticed that when you're getting into the groove, that's when your dog needs to go pee, or the phone rings...or or or :) Oyi.